A top lawyer for the ACLU is President Obama’s choice to head the civil rights division of the Justice Department, a position that has been without a permanent leaders for more than a year, the Washington Post reports. 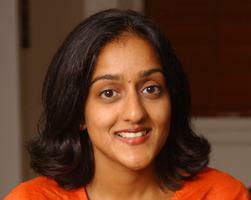 Vanita Gupta, 39,will become the acting head of the division Wednesday. A longtime civil rights lawyer, Gupta brings a lot of experience with her. She is the deputy legal director for the ACLU. The Post reports that Obama plans to nominate Gupta to be the permanent assistant attorney general for civil rights. It’s an important position that oversees voting and civil rights investigations. Born in the Philadelphia area to immigrant parents, Gupta has been lauded for her civil rights work, especially on prison reform, the Post wrote. Posted: 10/16/14 at 8:27 AM under Milestone, News Story.